One of the highlights of enjoying your garden in winter is noticing things that you take for granted the rest of the year. Little special details. 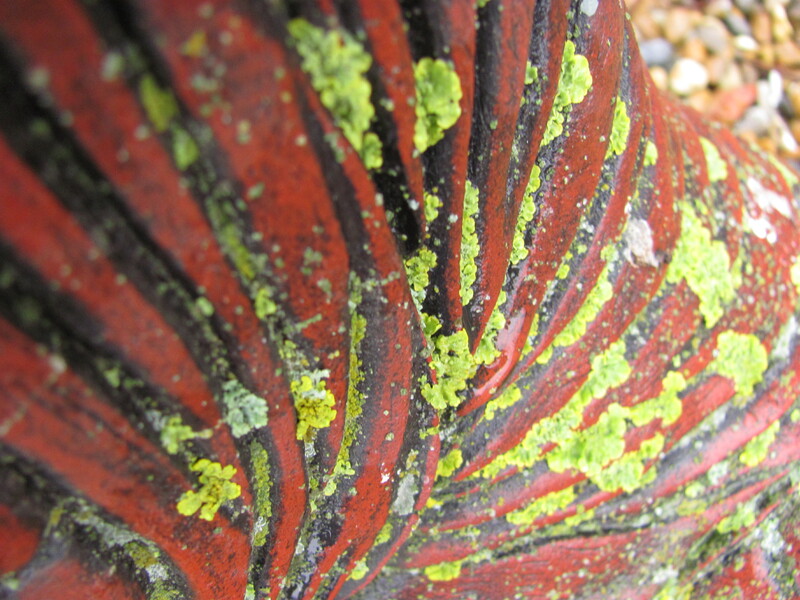 Lichen, mosses and algae. 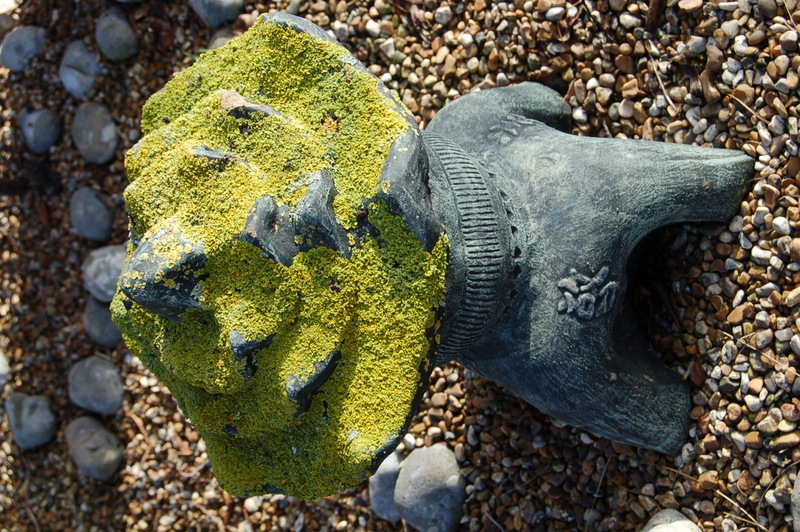 In our Japanese Garden the low rays of the winter sun brighten up lichen, mosses and algae on the lanterns. The greens and greys create a mosaic of soft textures. 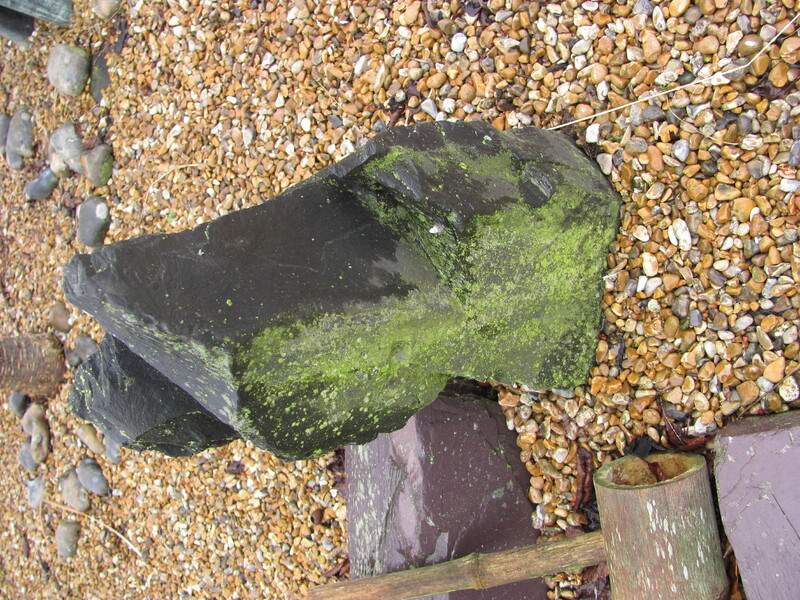 Tints of green add interest to the greys of our specimen slate stones. 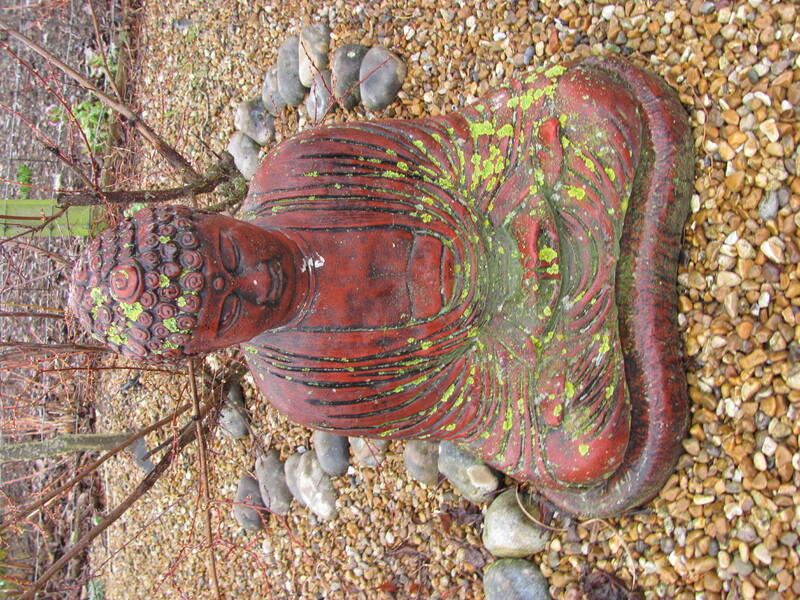 Even the Buddha is given a splattering of green emphasising the shapes of the fabric folds of the robe and curls of hair. 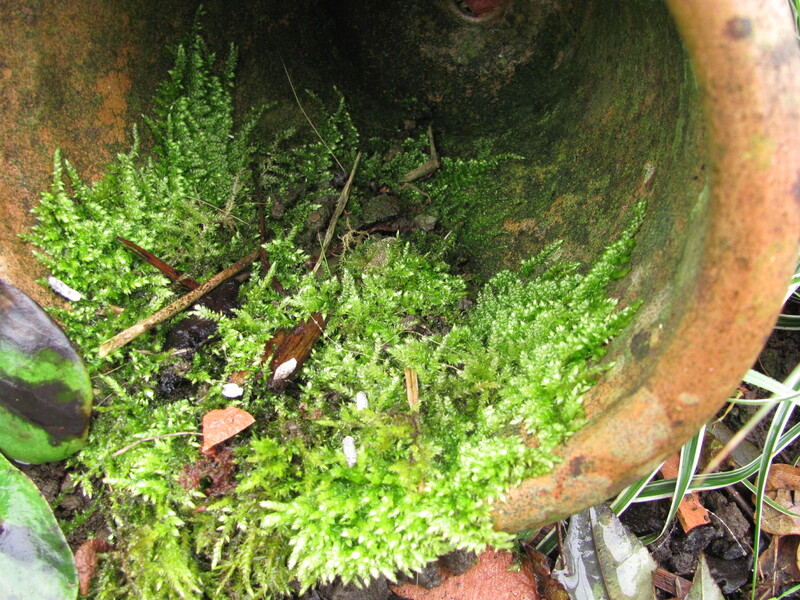 Lush green mosses find perfect conditions to flourish in side a terra-cotta flower-pot. 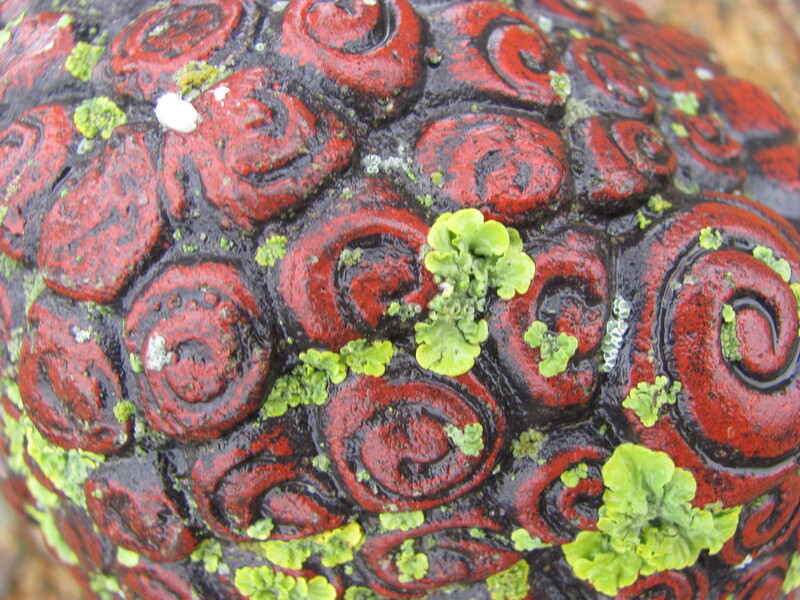 This entry was posted in garden design, garden photography, gardening, outdoor sculpture, photography, winter gardens and tagged garden photography, gardening, Japanese Garden, lichen, mosses, winter, winter gardens. Bookmark the permalink. 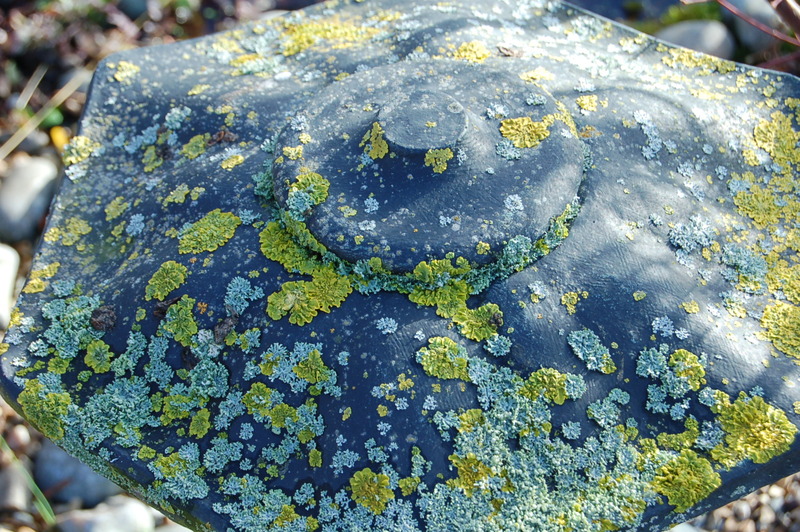 3 Responses to Lichen in our garden. Looks like a wonderful place to be for some quiet moments. It certainly is. There is a summer house in the one corner and a wildlife pool with a pebble beach where birds bathe just feet from us as we enjoy a tea break.